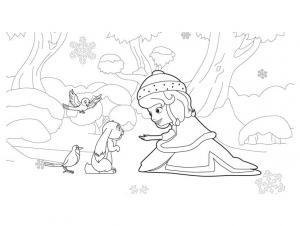 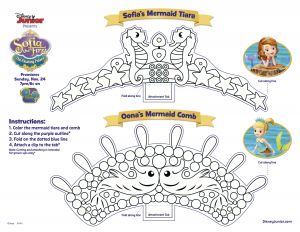 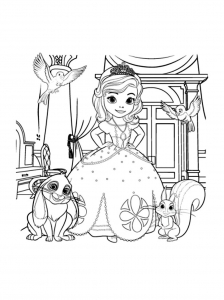 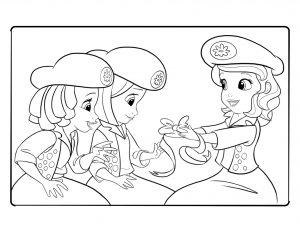 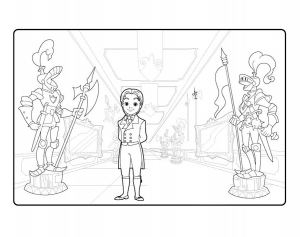 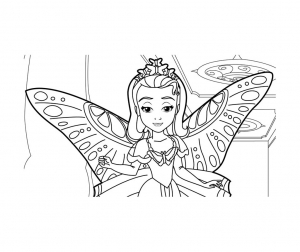 Discover Fun free Coloring pages inspired by Sofia the First (Disney). 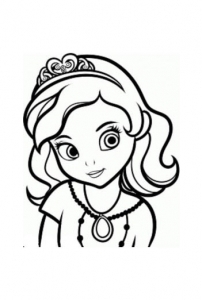 Sofia is the adorable, sweet, beautiful and humble girl who lives with her mother Miranda. 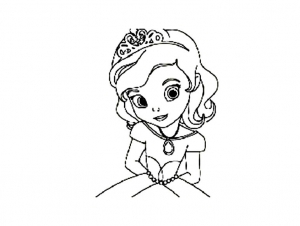 She becomes royalty after her mother's remarriage to King Roland II. 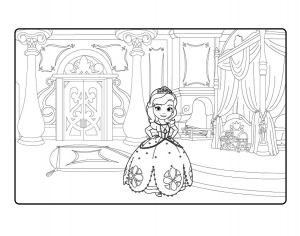 Some famous Disney princesses (Ariel, Belle, Jasmine, Elsa ...) make special appearances in some episodes to help the young Sofia the First during her transition to royalty.